Transformation of the Day: Veronica lost 134 pounds. Last year, she found out that she had two Neuroendocrine Tumors on her pancreas and that she had diabetes. The solution for her chronic pain was weight loss and surgery to remove the tumors. Post-surgery, she changed her eating habits, worked out and released the weight. Check out her story. 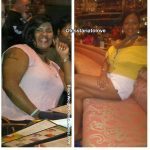 Transformation of the Day: Shuntá lost 42 pounds. She was tired of the weight loss rollercoaster, and she wanted to avoid a family history of illnesses, like diabetes and high blood pressure. This mom truly put in the work to get results, committing monitoring her food intake and putting in work at the gym. Check out her story. 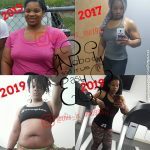 Transformation of the Day: Shanora lost 10 pounds and lots of inches. This New York Times Bestselling Author’s wakeup call came when she saw the photos from her wedding last year. She wasn’t taking care of herself due to a number of factors, including working too much and the loss of a loved one, and it showed in the photos. Check out how she took action to take her life back.